This YouTube video is going viral online. The video is about a team of record-chasers throwing a basket ball from a 127-meter-tall dam in Tasmania last month. When the team gave the ball a backspin, it propelled forward in a massive arc. Last month in Tasmania, a group of record-chasers created the world’s highest basketball shot. They threw the ball from a 127-meter-tall dam. Firstly, they threw the ball in a straight direction. But when they gave it a spin then it propelled forward in a massive arc, owing to which it fell dozens of meters beyond the basket at the bottom. According to a report, there will be storage challenges concerning genomic data and the problem will be bigger than what has been told by YouTube and Twitter. A team of scientists said that it is expected that between 100 million and 2 billion human genomes will be sequenced by 2025 and two to 40 exabytes of data storage will be needed for that. According to Michael Schatz, a professor at Cold Spring Harbor Laboratory in New York and co-author of the study, the data challenge is among the most important issues related to biology. According to Schatz, "Scientists are really shocked at how far genomics has come. Big data scientists in astronomy and particle physics thought genomics had a trivial amount of data. But we're catching up and probably going to surpass them". On Thursday, YouTube announced plans for a YouTube Newswire to feature eyewitness videos of the most newsworthy happenings around the world. These include events such as the Arab Spring uprisings and protests in Ferguson, Missouri. The YouTube Newswire is being created in collaboration with the social news group Storyful. The new service will be a curated feed of videos mostly related to social justice and human rights. According to a blog post from the Google-owned video sharing service,"With the Newswire, we hope to provide journalists with an invaluable resource to discover news video around major events, and to highlight eyewitness video that offers new perspectives on important news stories". A group of children advocacy organizations has filed a new Federal Trade Commission complaint saying not only is YouTube's kid-friendly app exposing children to too much advertising, but it's also showing profane and expletive-laden videos. It was in April when the group filed a complaint about YouTube Kids for the first time. The complaint said YouTube has been exposing children to a barrage of commercials for corporate entities like McDonald's, Mattel and Hasbro. The coalition of eight advocacy groups said that such commercials have violated federal laws against unfair or deceptive marketing. YouTube has been consistently improving its video quality over the last couple of years. And now it has come to notice that the website is experimenting with an unprecedented streaming resolution. YouTube introduced 60 Frames Per Second video playback few months ago and now the massive video streaming website is testing 4K video at 60 Frames Per Second. According to TechCrunch, the company has uploaded a series of sample clips to showcase the technology. One might hear about 4K TVs quite often, but to stream 4K content through normal video streaming websites is still unheard of and what YouTube is offering is more of an experiment. London, Jan. 08 : YouTube will soon add a feature that will support 360-degree videos , it has been reported. According to Gizmodo, it will allow users to upload videos taken with the special 360-degree cameras that are on their way into the market and will probably make use of virtual reality headsets, the Independent reported. Many of those take the videos in different ways and with different results and YouTube's challenge was getting all of those different kinds of video to work on the site. However, it's unclear whether the videos will be viewable for anyone using a computer, or if they will require a virtual reality headset to look around the scene. Washington, Aug 19 : YouTube's rumored subscription music service will be reportedly called YouTube Music key . According to CNET, this new on-demand streaming music service is said to have ad-free music with audio-only and offline playback. The service will reportedly cost 9.99 dollars per month and users will be able to test it out with a free 30-day trail. It was revealed last summer that Google was planning to launch a subscription music service for YouTube. London, June 18 : YouTube is all set to remove music videos by artists like Adele, Arctic Monkeys and Radiohead, as the independent labels that they work for have refused to agree to terms with the site. Google, the owner of the YouTube, are now renegotiating contracts as they prepare to launch a music subscription service. The three major record labels - Universal, Sony and Warner - have come to an agreement with the site, but negotiations came to a naught with smaller independents, the BBC reported. According to some independents, they were being offered "highly unfavourable terms". Washington, Apr 5 : YouTube has reportedly delayed the launch of its music service until later this year. The Google unit has been working on its music service for some time, but wanted to launch a product that is different from competitors in the space and ready for mass consumption, Mashable reported. 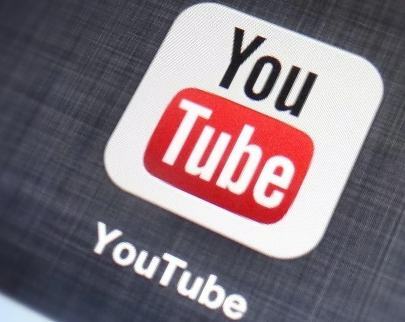 YouTube has reportedly postponed the launch back to the second quarter or beyond. Washington, Feb. 23 - A few jovial souls at Dead Parrot have reportedly turned comment exchanges on YouTube site into a hilarious movie. YouTube users often post troll -type comments with the intent to insult each other and the movie shows the same. According to Cnet, in choosing actors with expressive English voices, true gravitas is lent to what might at first seem like banal words. Washington, Jan 15 : YouTube has launched a new daily web show called YouTube Nation that will help users find all the best videos that the site has to offer. The five minute-long show will air daily at 9PM EST, and is hosted by Jacob Soboroff, formerly of Huffpost Live, and produced by Dreamworks Animation. According to the Verge, the first episode highlights everything from a new football series from Grantland to a skydiving world record attempt. Washington, Jan 3 : YouTube will be demonstrating high-definition video streams at the Consumer Electronics Show next week. The new format is advantageous for YouTube and other video streaming sites because it allows them to transmit high-definition, 4K quality streams without slowing down your network. Other effect is that users can experience a lot less buffering while watching online video. A new video posted by AT&T on its YouTube account, to offer details about the forthcoming HTC One handset, has revealed that the carrier will exclusively have the 64GB version of the handset available for its subscribers. In a Thursday post on its official blog, Google's popular video-sharing site YouTube revealed that it has hit the `one billion monthly unique users' milestone; with the growth of the site in recent times being chiefly a result of the changing content consumption habits of the new `Generation C' group of users who are defined by their age-group as well as their connected behavior.